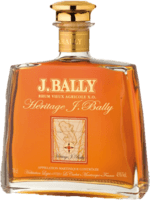 Have you found an online vendor selling J. Bally 7-Year? Du retour en bouche mais manque d'allonge. Un bon rhum dans l'ensemble avec des notes épicées et sucrées (mélasse) mais le goût et l'odeur d'alcool sont très prenantes. I can definitely taste something. I just don't know what it is, I think the high alcohol percentage adds to the over all difficulty to consume and enjoy this. I love the bottle, but the content is a bit off in taste. I know people who drink tougher stuff than this so I can understand that someone else can enjoy it but it's not really for me. I bought it just to have tried it, don't think I'll buy another one so I'll just save the bottle. 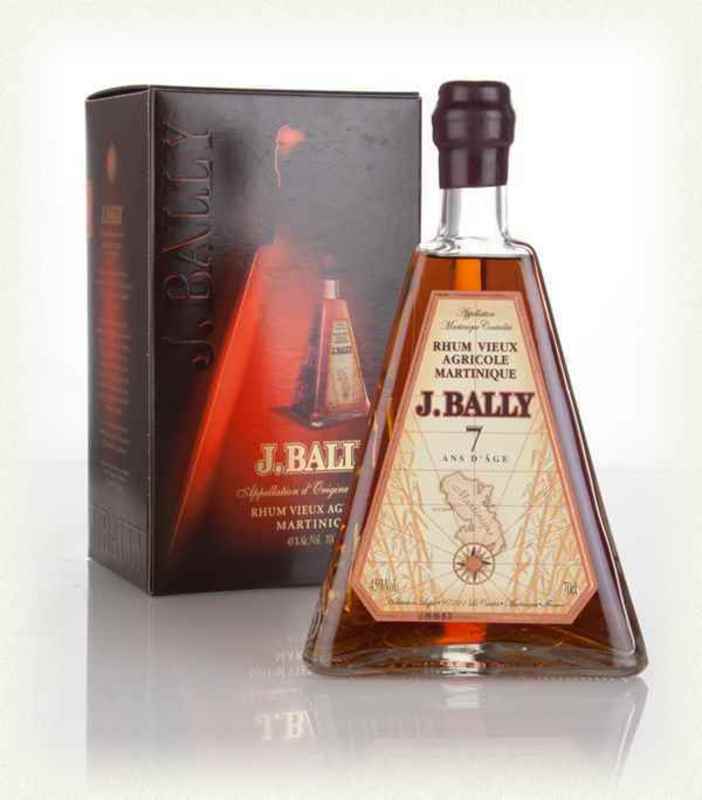 Tried the J. Bally 7y Rhum and I have to say that the bottle design is spectacular, but the Agricole Rhum's are just simply so dry that you really have to enjoy a good cognac before you can become a Rhum Agricole fan. 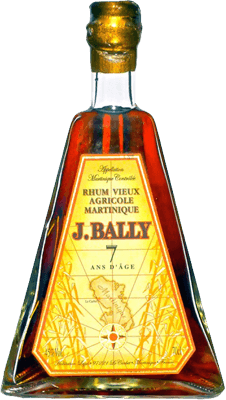 I like my rums nice and dark and flavorful, and J. Bally 7y does not exhibit any of those characters. Its very dry and has a strong burn both at the palate as well as on the afterburn. Not my cup of tea. A special kind of rhum ! It tasted a bit like whisky. I like whisky so it wasn't a problem for me at all. Jag tycker det är trevligt med agricole-lagrad rom men J. Bally lyckas inte riktigt nå upp i de högre klasserna med sin 7-åriga rom. Smaken är vass och kantig och det är svårt att känna vad den egentligen smakar. Raka motsatsen till de mjuka, lena solera-lagrade romen i samma prisklass. Det är en alkoholstark rom, 45% för att vara exakt, och kanske är det en bidragande faktor till smakbortfallet? cant say much more !..............................! My first sample of Martinique rum. The bottle looked lovely and the colour sublime. I no longer drink Martinique rum. This stuff is bogus. More off an ornament than a Rum. Leave it in the bottle, it's better on the eye that the taste buds. Design : très beau packaging, la bouteille pyramidale en impose, le rhum a une belle couleur acajou. Le nez est agréable, avec une odeur d'épices (cannelle). En bouche, ce rhum est assez doux, puis viennent des nuances de fruits confits et d'épices. L'alcool est présent (45°) puis on finit sur une belle finale de canne. Un très bon rhum de Martinique. Quand on sort la bouteille de son carton, ça en impose d'entrée de jeu. Un bon rhum boisé au gout de fruits secs. Non mi ha convinto gran che. Merita solamente la bottiglia a forma piramidale, il contenuto non mi sembra invece eccelso. This RVM is a total pleasure. Visually, the bottle design and the dark ambrè colour are two very actractive allmarks. At the nose we have a big impact smell, tipical of the agricoles, with lasting scell of fresh wood. The taste is full, mellow but strong, a bit brackish with natural caramel sign.